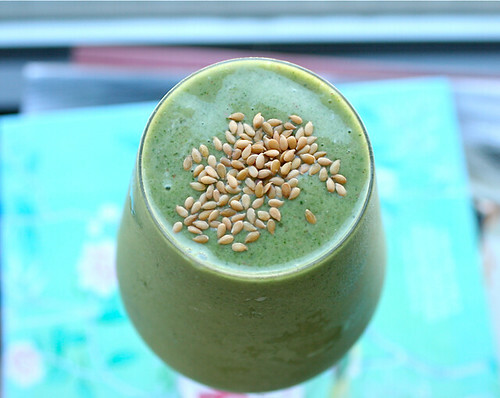 A Green Delicious Smoothie everyone has to try!!! By our girl, Jane Lim! Kale is an amazing vegetable recognized for its exceptional nutrient richness and versatility. Kale is one of the healthiest (and lowest calorie) vegetables and the beautiful leaves of the plant provide a deep, earthy flavor. Throw all ingredients into the blender and blend away! Serve it in a cup, wine glass, mason jar!